What a year and can someone please tell us where has it gone? We’ve got some exciting plans for 2018 already but before we say too much more, let’s take a moment to reminisce on a wonderful year. We’ve welcomed some fabulous salons to the Gold Class family. Award-winning Nicola Smyth Salon; the team from LAC+CO Canada came over to train in March and La Bella Vita in Belfast joined us earlier this month. If you’ve not already checked them out, please do and make sure you are following them on social media too. 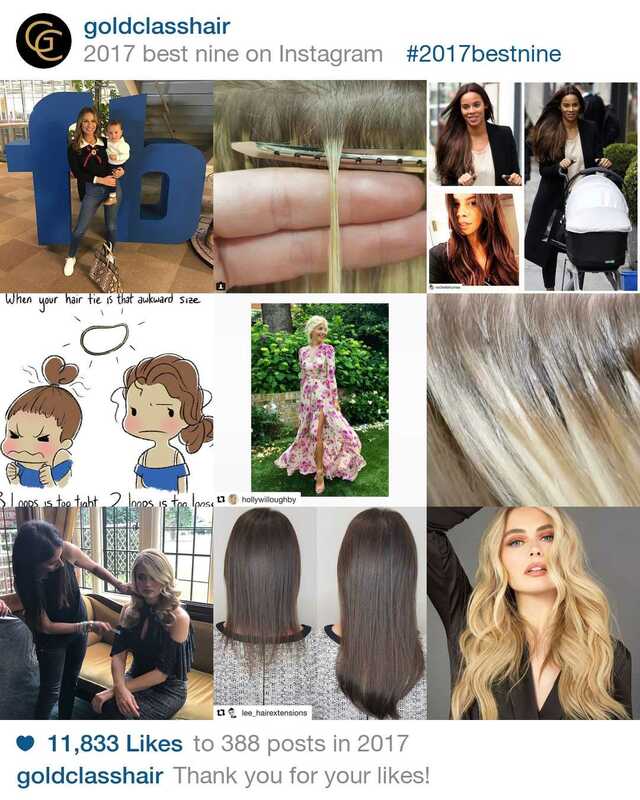 Our Gold Class Clip-Ins won The Hair Awards 2017 Best Instant Human Hair Extensions, two of our extension experts were up for Best Extensionists with the Awards too, and Lee McCrudden from Inanch London clinched it with his collection using our hair. We were also awarded an ADSL Certification for our Removal Solution for safe removal of hair extensions – something that is very important to us and sets us apart with our philosophy on this. Always evolving, we have introduced so many new products to support our extension lovers care for their hair at home and also equipping stylists with the very best tools to make sure their work is nothing short of perfection. To name a few our Thermal Super Brush, Italian Blow Dry Brush , Thermal Protection Serum not to mention our Pre-bonded Toolkit. We then took these to exhibit at the world’s leading hair show Salon International in October for the very first time as well and it was so lovely to meet so many amazing stylists keen to become a Gold Class Elite Salon. Of course, we have loved all the amazing transformations with our hair and there are so many great ones we cannot choose. 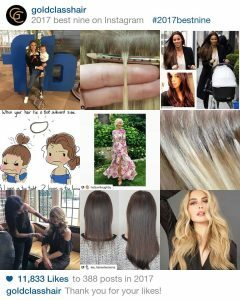 2018 is set to be an amazing year with our plans in place for some new product releases as well as new salons joining the Gold Class Elite Salons network in the UK and Europe! Stay tuned on social to be the first to know.